Every enterprise application creates data, whether itâs log messages, metrics, user activity, outgoing messages, or something else. And how to move all of this data becomes nearly as important as the data itself. 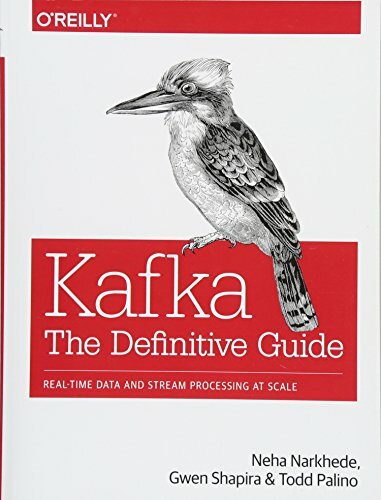 If youâre an application architect, developer, or production engineer new to Apache Kafka, this practical guide shows you how to use this open source streaming platform to handle real-time data feeds. Engineers from Confluent and LinkedIn who are responsible for developing Kafka explain how to deploy production Kafka clusters, write reliable event-driven microservices, and build scalable stream-processing applications with this platform. Through detailed examples, youâll learn Kafkaâs design principles, reliability guarantees, key APIs, and architecture details, including the replication protocol, the controller, and the storage layer. About: Every enterprise application creates data, whether it’s log messages, metrics, user activity, outgoing messages, or something else.